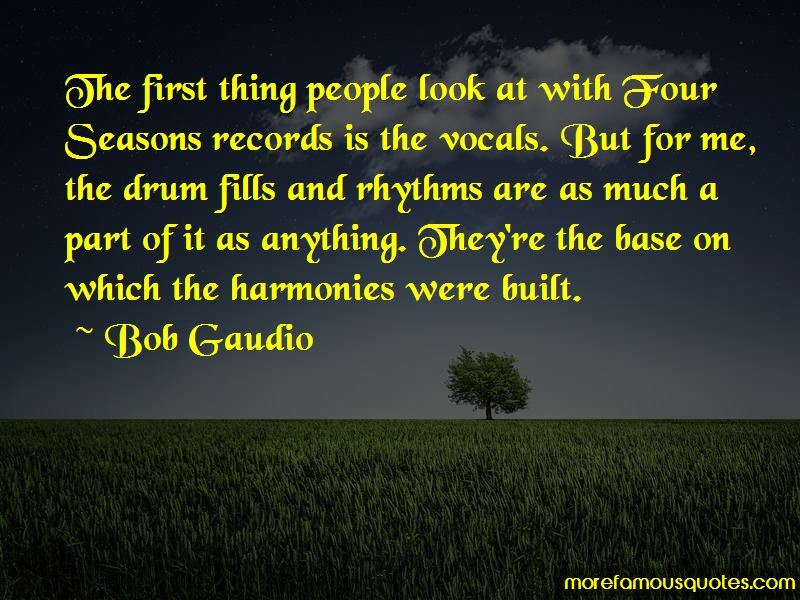 Enjoy the top 4 famous quotes, sayings and quotations by Bob Gaudio. 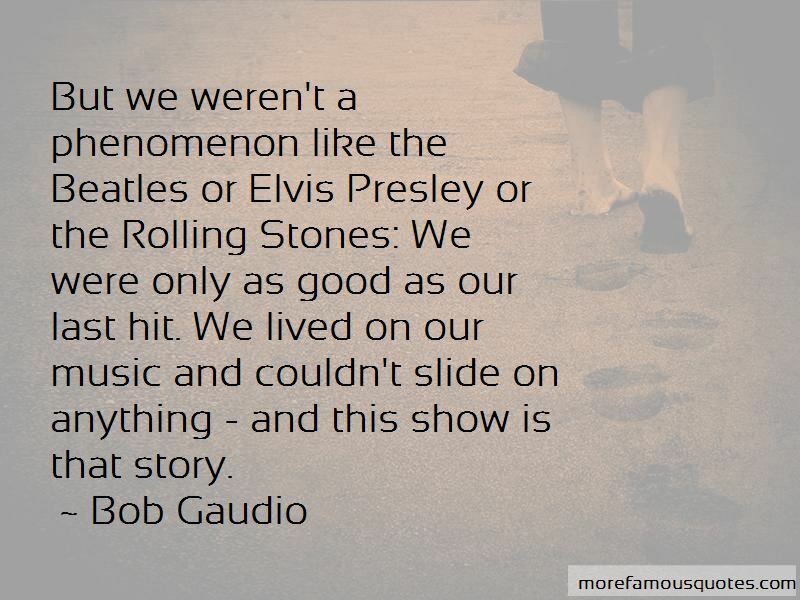 But we weren't a phenomenon like the Beatles or Elvis Presley or the Rolling Stones: We were only as good as our last hit. We lived on our music and couldn't slide on anything - and this show is that story. Even people who loved our music really didn't know anything about us. We were never glamorous. We were never a phenomenon. 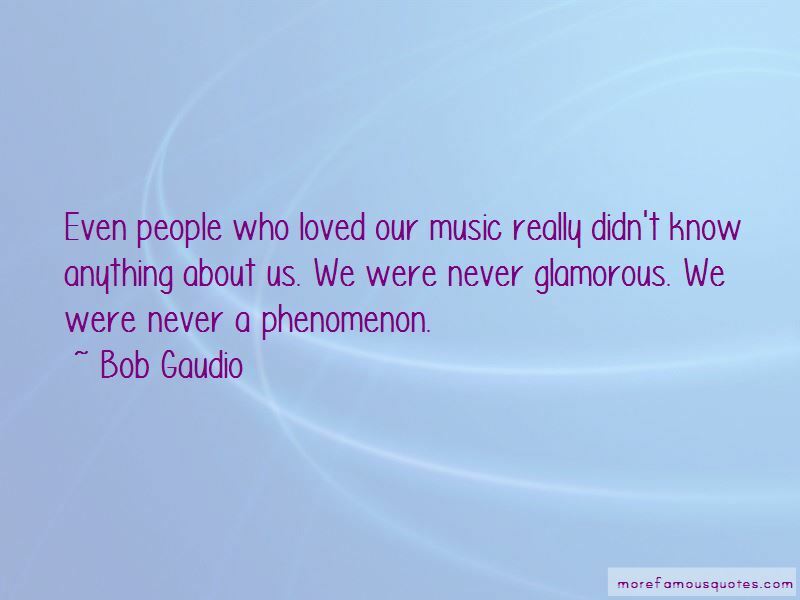 Want to see more pictures of Bob Gaudio quotes? 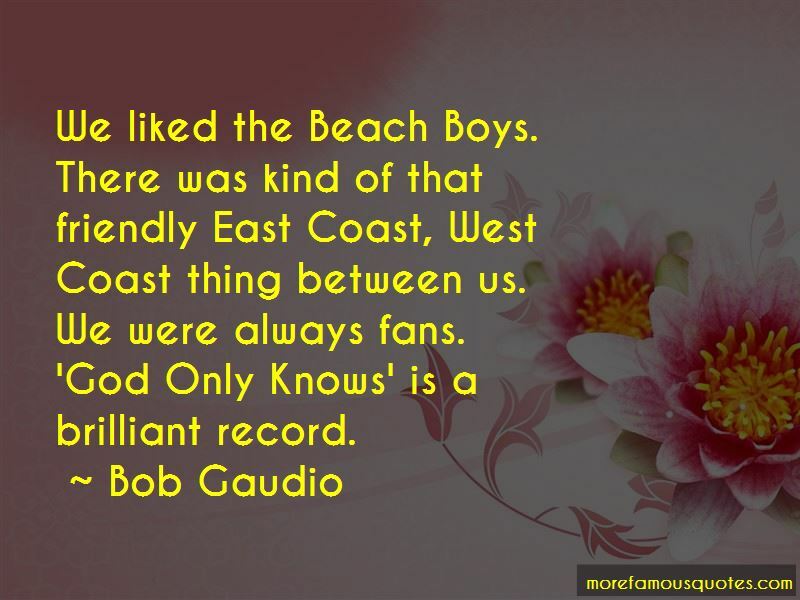 Click on image of Bob Gaudio quotes to view full size.